Joakim Noah and the Bulls won't roll over this season. 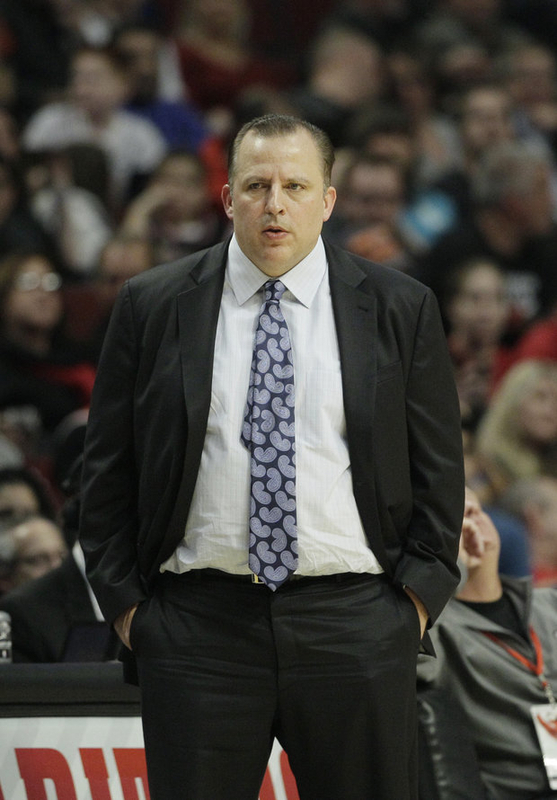 Tom Thibodeau's team are expected to defend to succeed. Opening the NBA season on Halloween night, the Bulls hope they have more treats for their fans than tricks. After weeks of training camp and pre-season games, the Bulls will unveil their 2012-2013 team against the Sacramento Kings at the United Center. Many NBA experts expect the Bulls to stumble without Rose. Last season, because of the labor dispute, the Bulls played 66 regular season games and Derrick Rose missed 24 of those due to various injuries. We all know what happened in the playoffs after the former NBA-MVP suffered a devastating knee injury. This year his teammates will not be looking for their leader to return in a game or two. It will be longer — much longer. Here&apos;s a look at what the Bulls need this season to find success without their All-Star — and to make the playoffs in the spring. Luol Deng, Joakim Noah, Carlos Boozer, Richard Hamilton and Taj Gibson MUST be at the top of their game on offense and defense. Yes, Boozer will have to handle his defensive assignments. He does pull down rebounds and has a big enough body to deal with similar power forwards; his weakness is against the more athletic opponents and keeping his focus on the task at hand. Boozer must score; he has to be "the man" when the game is on the line. 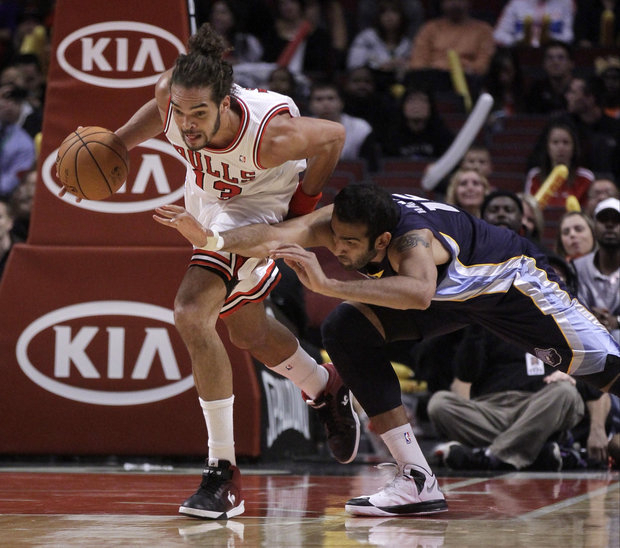 Joakim Noah always provides energy and is one of the better passing centers in the league. This summer he worked with former Laker great Kareem Abdul-Jabbar. If he can establish some offense that would be a huge asset. Richard Hamilton says he is healthy — we&apos;ll see. If he is healthy that would be a big boost, but we can&apos;t count on it — it has been an issue for him in the past. His offense from the “pick and roll” will be a necessity for the Bulls looking to score. Luol Deng is the “glue” of the team: They&apos;ll rely on him to provide his consistent defense, enough offense, lead the bench and play a ton of minutes. All this from someone who decided to not have knee surgery; is it healed or will it be a problem? Deng is tired of the questions about his knee and hopes his play will be enough to silence everyone. Taj Gibson will be a big factor — he will be coming off the bench. Last year he was very instrumental when Boozer was ineffective and played “starters” minutes. Coach Thibodeau will have no problem doing it again this year; Gibson has proven he is a player to be trusted. Kirk Hinrich has the most difficult job of any player on this Bulls team. You cannot replace Rose as the team’s point guard. However, Hinrich will be compared to him — because people just can’t help themselves. How about this for a premise? Hinrich may help develop some of the Bulls players on offense. There won’t be Rose bailing out the team with his scoring, it will be up to Hinrich to take charge and run the team. It has been tough for Hinrich the past several days dealing with a groin injury, but he expects to play. If he doesn’t, Nate Robinson will get the start. Robinson is familiar with the system since he played with the Celtics when Thibodeau was an assistant. This will be their mantra all season-it is not different than most years, it is THE most important aspect of a team minus a creative scorer like Rose. With a head coach like Tom Thibodeau, a player will not be on the court long unless they implement the team&apos;s framework on "D." The Bulls expect to score points, if they effectively execute their defense. The revamp bench may still take a while, but that has been re-hashed for weeks. A better assessment can be made as the season unfolds the next few weeks. It was fun listening to Nate Robinson talk about playing for his favorite team as a young boy and how much he idolized Michael Jordan. Fifteen-year veteran Nazr Mohammed is excited about wearing a Bulls uniform after growing up in Chicago. This will not be a glamour team to watch. They will be prepared, play hard and they will not look over the shoulder for Rose. They will struggle at times, but they can make the playoffs and there is hope Derrick Rose will return and help lead the way. That would be a real treat.